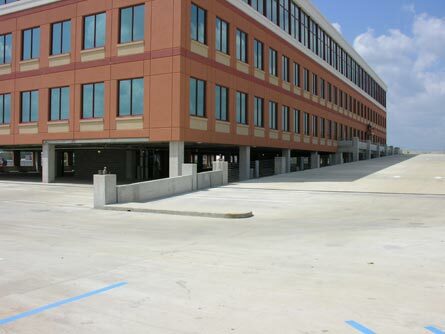 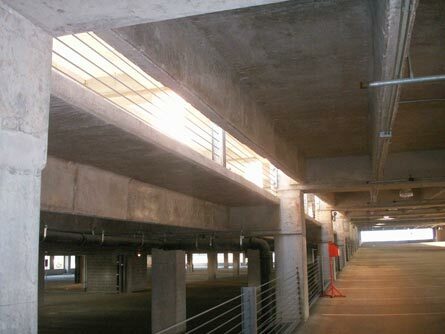 A four story, cast-in-place concrete parking garage consisting of an elevated pan-joist slab system framed by post-tensioned concrete beams provided a parking area and a structural frame foundation for a three story commercial office building. 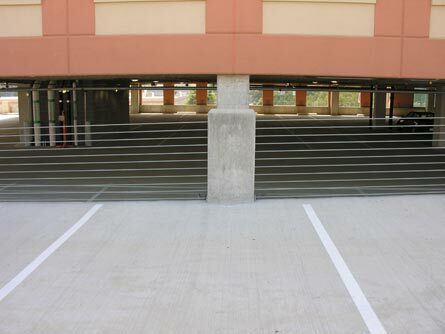 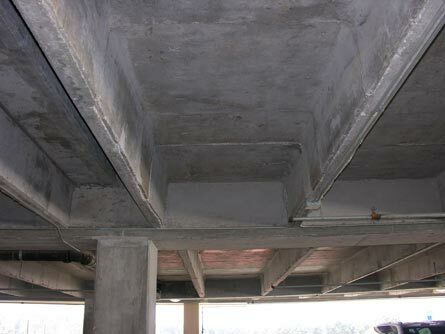 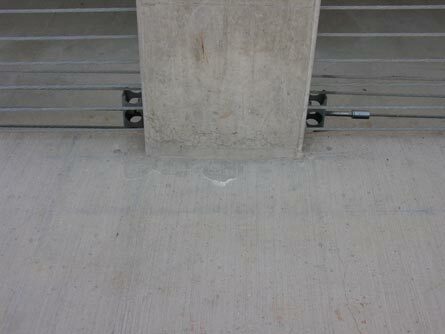 The elevated ramps for the parking garage exhibited distress in the form of full depth cracking in the elevated slabs parallel and adjacent to the post-tensioned beams and perpendicular to the longitudinal direction of the intermediate joists allowing for moisture migration and efflorescence to form on the underside of the elevated slab along the length of the cracks. 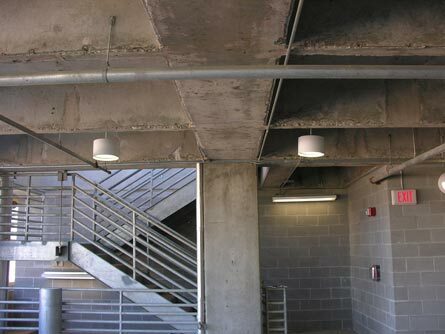 CA performed, among other things, a detailed condition assessment of the structure, including crack maps of the entire parking structure, a review of drawings and plans, and a structural analysis of the post-tensioned beam and joist framing system accounting for their support and restraint conditions. 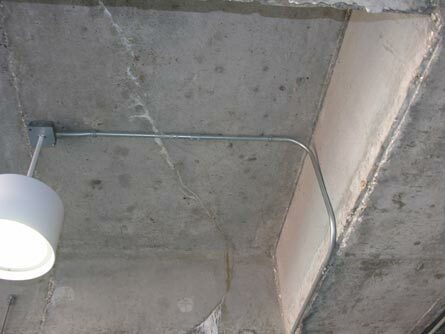 CA determined the causes of the observed distress and developed recommendations for concrete crack repair and remediation of the reinforced concrete structure.